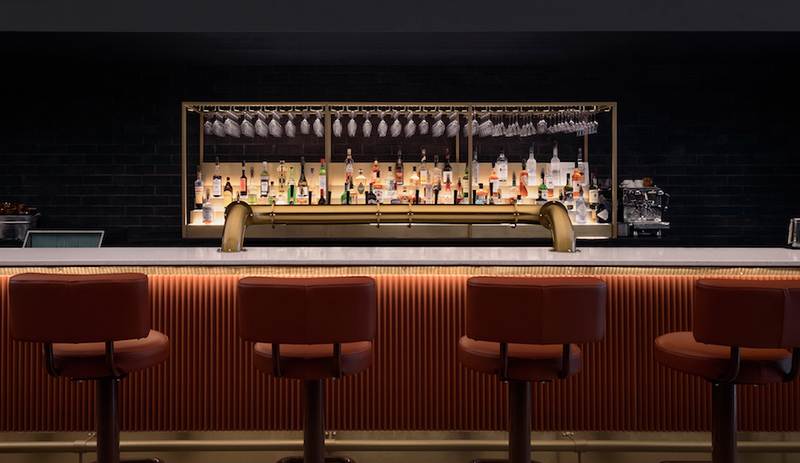 The Dutch design collective transforms a 17th-century building in Amsterdam into a culturally rich hotel that features shops, hosts exhibits and contains a single guest room. 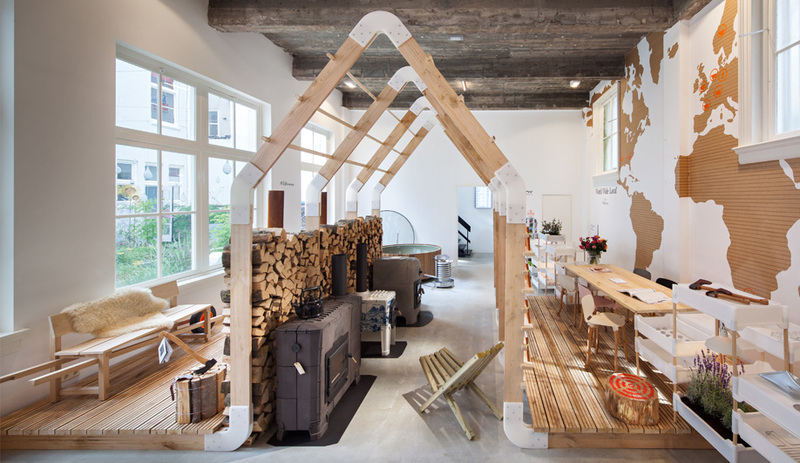 For designophiles who can’t get enough of the iconic Dutch brand, design director Renny Ramakers may have the solution. 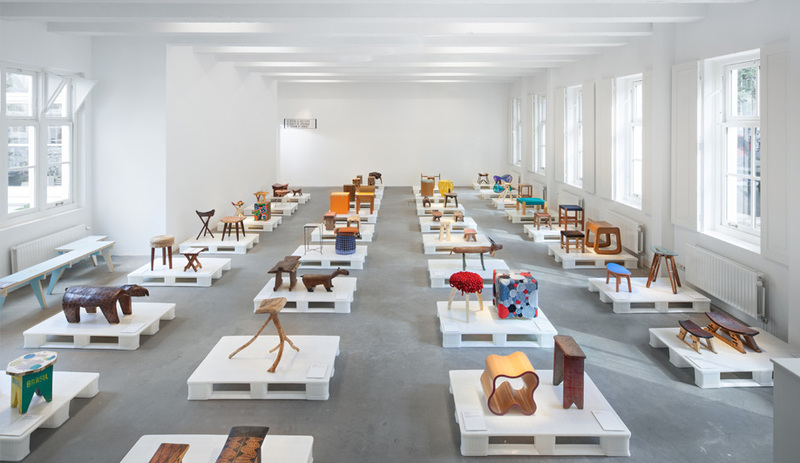 Situated in a building that once contained Amsterdam’s textile guild, Hôtel Droog combines all of the collective’s activities – from curation and product design to exhibitions and lectures – in eight spaces under one roof. For most visitors, the main attraction will be the four retail spaces, which include the clothing boutique Kabinet, stocked with such labels as Maison Martin Margiela and Hussein Chalayan; and of course, an all-things-Droog shop. 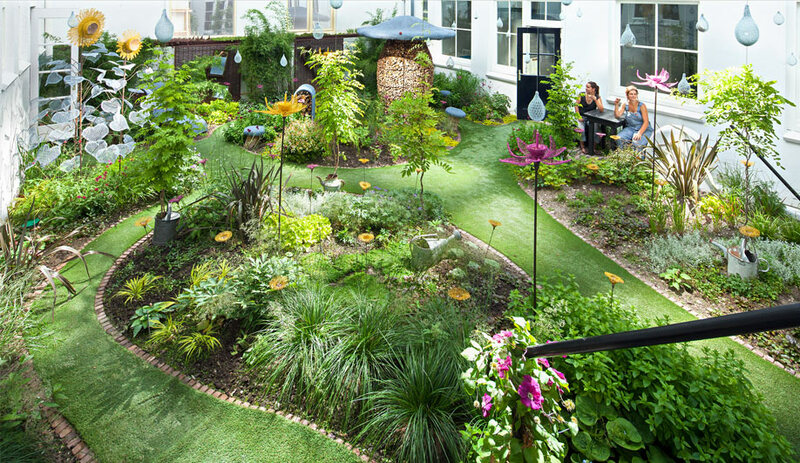 To take a breather, they can head outdoors to the Fairy Tale Garden, a 150-square-metre courtyard transformed by Claude Pasquer and Corinne Détroyat into a whimsical respite full of delightfully odd elements. In islands of lush greenery, separated by a winding path of synthetic turf, the French designers introduced rustic wire sculptures in the form of flowers and raindrops, filled with feed and water to attract birds and butterflies. They also fashioned mushrooms as firewood storage and seating. For a cultural infusion, branded by Droog, the tea room, called Roomservice, not only serves food, but also stages debates and performances. 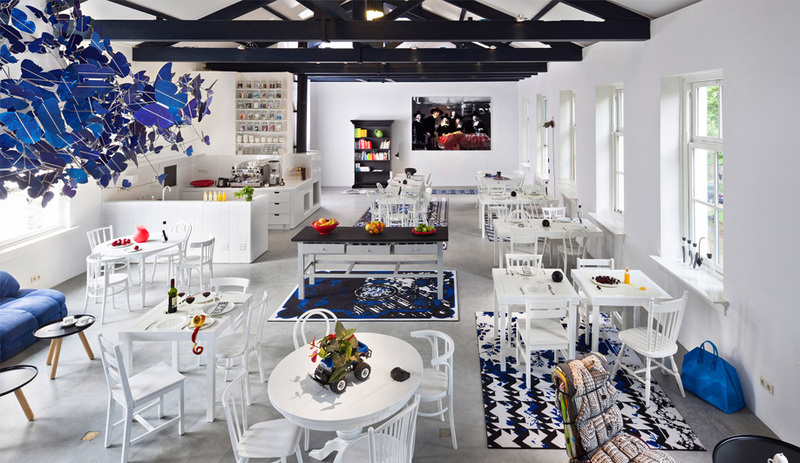 It features all-white Droog furniture, accessorized with bursts of black and blue textiles and fixtures. 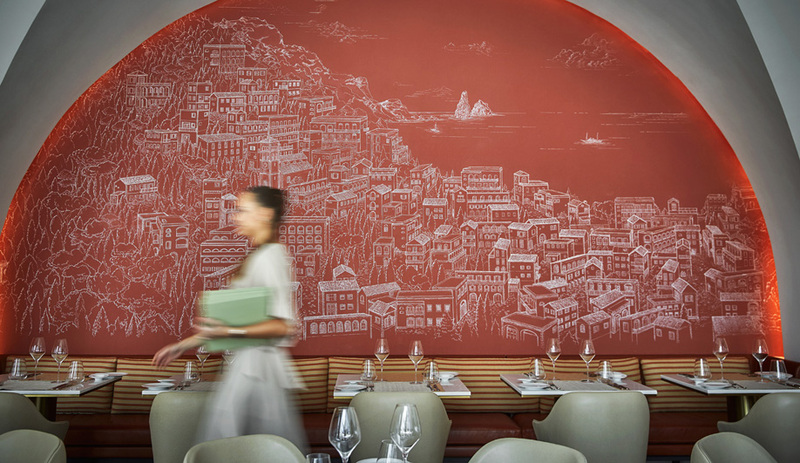 To honour the building’s history, Dutch artist Berend Strik was commissioned to reinterpret Rembrandt’s famous De Staalmeesters, an oil painting that once hung in the building, as a wall carpet called A Stitch In Time. The café’s first debate series is “The World is Not for Sharing!?!*?!! !.” And fearless speakers can contribute their most grating irritations. The Droog sensibility extends to the Gallery, a large space that hosts exhibits curated by Ramakers. Over the next week, it will feature wool fashions and furnishings from the 21st century, followed by a show exploring the positively infectious nature of intellectual and scientific progress. But the pièce de résistance is the one and only bedroom on the upper level. 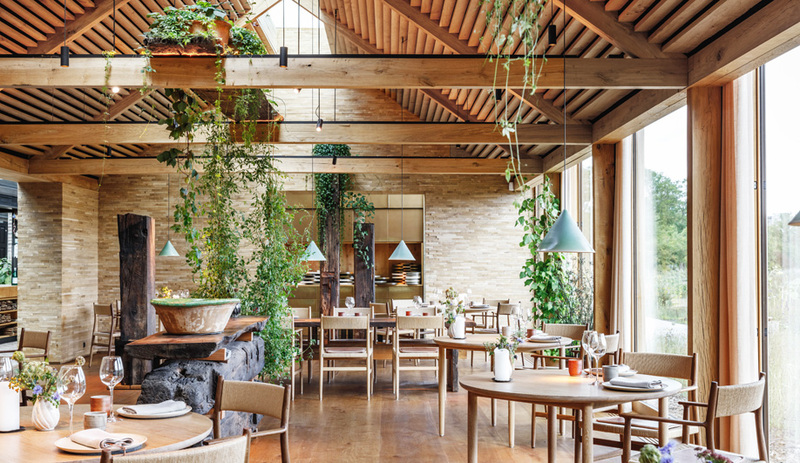 Like the rest of the hotel, the suite features furnishings from Droog and other manufacturers, including Marian Bantjes’ Read Before You Eat, a wooden table that cleverly disguises in its ornate surface a message encouraging diners to make a contribution to Doctors Without Borders, and, suspended above, Bertjan Pot’s Heracleum chandelier for Moooi. Here, booking way ahead is highly recommended. 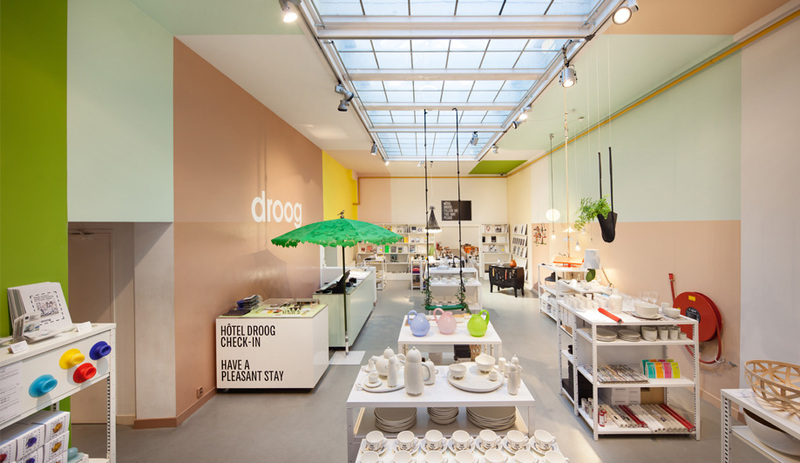 Hôtel Droog is located at Staalstraat 7B, 1011 JJ in Amsterdam. 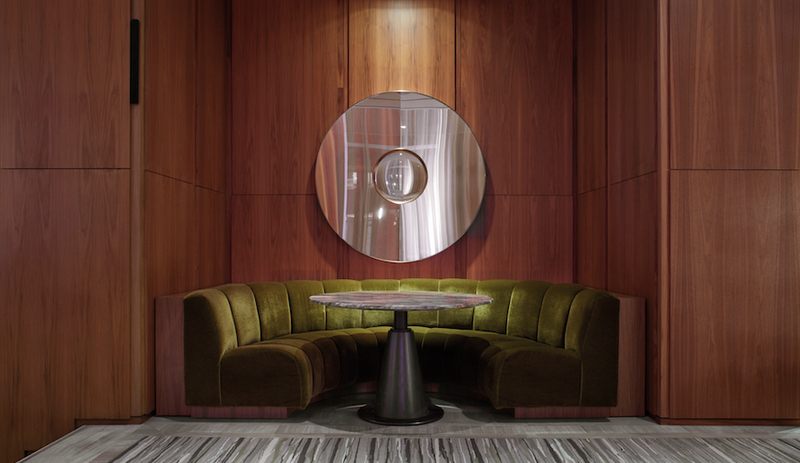 See more knockout hospitality and restaurant interiors in our November/December issue, on newsstands now.